Just because your credit is currently looking bad does not mean that you have to let it be that way forever. You can improve your credit score by paying off some of your debts. Each time you pay your debts, your credit score will improve for the better – even if it is by the slimmest of margins. With time, the result will be a good, or even perfect, credit score. Most people with bad credit will be tempted to get a credit card. Let alone the fact that getting a credit card with a bad credit score is difficult, it will not help much in rebuilding or improving your credit score. It is crucial that you get a secure card because they are an easy way to improve your bad credit. Secure card issuers provide major credit agencies with your account information – so, as long as you keep your balances low and pay on time, you are well on your way towards improving your credit score. With bad credit, getting a loan becomes very hard; and even when you get one, the rate are usually very high. Most people with bad credit will opt for payday loans despite their high rates. The best thing to do is avoid payday loans if possible. Get the a credit repair service that will help you improve your credit score and also take care of any errors that may be negatively impacting your credit score. It goes without saying that if you have a bad credit score you will have difficulty getting a merchant account. This is especially a problem for individuals or businesses that want to accept credit card payments for their services and/or products. 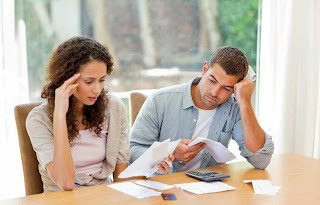 While improving your credit score might be one solution, it is one that will take some time. For individuals and business with bad credit that want merchant accounts fast, emerchantbroker.com is one of the best options you can find. Having bad credit is not something that should last forever. With the right information, tools and determination, you can remedy the situation and have your credit score up in a short time.